VCI Coatings, LLC is a technology company dedicated to the development of the cost effective higher quality protection for steel structures. Installers love the ease of application. Extremely user friendly VCI Coatings paint primers are a breeze to apply with a paint brush or most of the common makes of the commercial grade spray equipment. 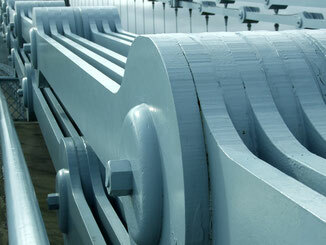 VCI Coatings are created with the addition of the VCI Agent. On projects where the remnants of iron oxide are difficult to remove corrosion inhibitor permeates through the rust easily preventing further oxidation. The addition of the VCI Agent to proven durable commercial grade primers and coatings increases performance by creating additional level of protection and reducing operator maintenance cost. Steel structures from the Golden Gate Bridge to patio furniture are in a constant cycle of maintenance being susceptible to the elements. Zinc-rich primers are full of holes... pinholes that is. Difficult to apply correctly as well as demanding with respect to surface preparation they are often an illusion of the corrosion barrier they advertise. VCI Coatings offers superior protection through the use of the proven (MIL-DTL-24441/20A (SH)) epoxy primer combined with the benefits of the VCI technology. VCI Agent added to the military grade epoxy allows the system to continue functioning as specified even when the conditions are less than ideal. Flexible surface preparation schedule and the ability of the VCI primer to continue to provide corrosion protection even if violated makes it the most cost effective solution for steel structure maintenance. Easy, forgiving application makes it the favorite among contractors. The VCI Coatings anti-corrosion steel primers are made by the addition of a vapor phase migratory corrosion inhibitor (VCI Agent) to existing coating formulations. 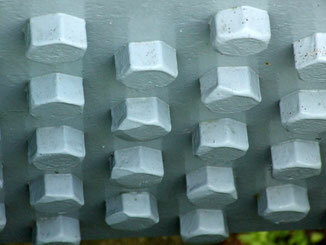 The VCI Coatings give better degree of enhanced corrosion protection as achieved by addition of zinc to primer coatings. 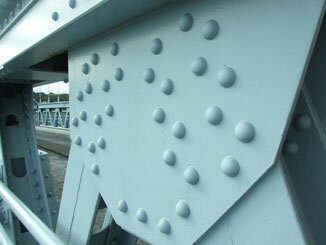 The VCI Coatings primers give superior degree of corrosion protection when placed directly on rust covered steel. The VCI Coatings primers are cost effective. Two part polyamide epoxy primers containing the VCI Agent are for sale to qualified contractors from VCI Coatings, LLC. VCI Agent concentrates are offered to paint manufactures under a License Agreement. Since 1989 a variation of the VCI agent has been used successfully by SURTREAT HOLDING, LLC as part of its technology to inhibit and prevent corrosion in steel reinforced concrete structures. VCI Coatings™ - patent pending. VCI COATINGS, LLC 437 Grant Street, Frick Building Suite 1210, Pittsburgh, PA 15219 USA, tel. 412.281.1202, fax 412.281.1282.